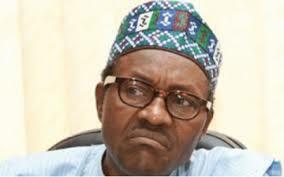 Peoples Democratic Party (PDP) chieftain, Chief Sunny Onuesoke has faulted President Muhammadu Buhari’s allocation of N39.4 billion for oil exploration in the Northern part of Nigeria. Reacting to the pronouncement of the allocation as enshrined in the 2016 budget, Onuesoke, while speaking to newsmen in Yenagoa, Bayelsa State said it was amazing that when the West and other parts of the world were embarking on renewable energy exploration, Nigeria was allocating funds for oil exploration in arid Northern part of the country. “I wonder if Nigeria is thinking ahead or backward. I am saying this because when countries like America are selling their reserve and diversifying to other sources of energy generation, it is now that Nigeria is exploring for more oil in the North. “It should be noted that Nigeria cannot be an advocate of climate change and at the same time investing on oil exploration instead of renewable drive for sustainable energy like solar,” he argued. Describing the action of the Federal Government as waste of priority, but maintained that it is waste of time and resources by searching for oil in the desert when nation can channel the money on something else meaningful to the development of the country. “The action of government showed that the country is not ready to diversify by searching for this silly oil elsewhere instead of thinking of how to do without oil. We will soon start looking for where we can dig out raw Dollars in the north too,” Onuesoke noted. He called on Buhari to divert the N39.4 billion budgeted for oil exploration in Northern part of Nigeria into research programme on renewable source of energy.